Founded in 1990, Tai Kuan Plastic Industrial Co., Ltd. always focuses on service and quality, and constantly improves production and design. 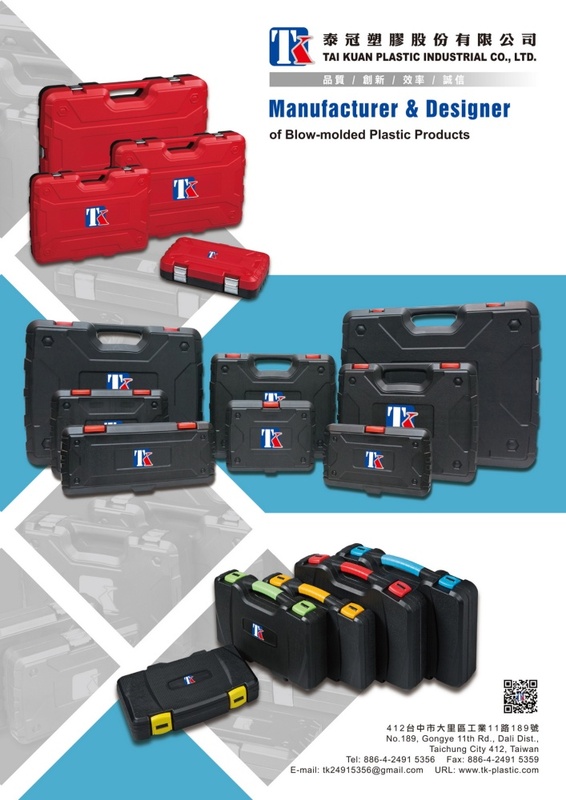 We specialize in making and developing blow-molded plastic products for hand/power/air toolboxes, auto repair tools, sporting & leisure goods, healthcare instruments, travel accessories, packaging boxes/materials, convenience goods, garden tools, toys, and customized products. Responding to demand of eco-friendliness, we employ RoHS- and REACH-approved materials to fully satisfy customers. Committed to mutual profitability, we constantly develop new products to meet market trends and tap global and emerging markets, also offering customized and competitive blow-molded plastic products.